The statue of President Abraham Lincoln is located on the southwest side of the Pennsylvania Memorial. 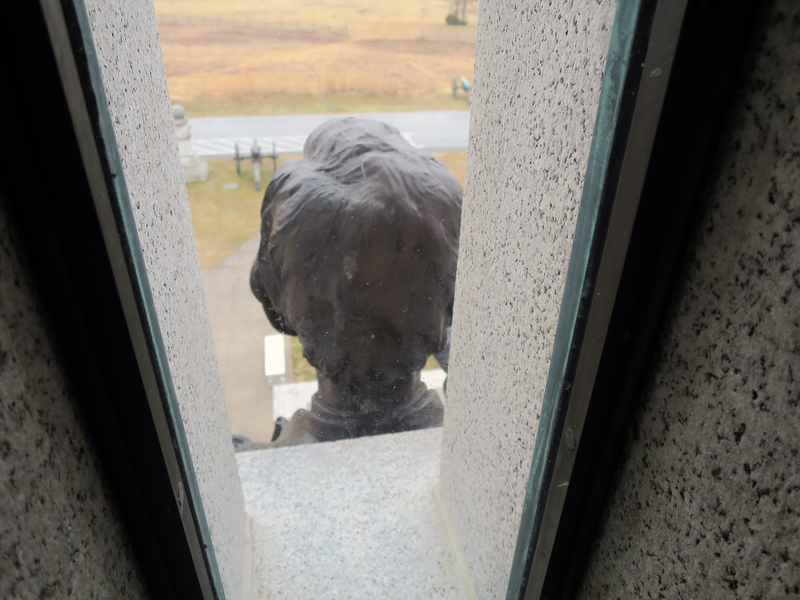 Visitors walking up the steps are treated to a John Wilkes Booth view of the rear of Lincoln’s head when taking the stairs inside the monument.This image was taken facing southwest at approximately 12:30 PM on Monday, December 26, 2016. 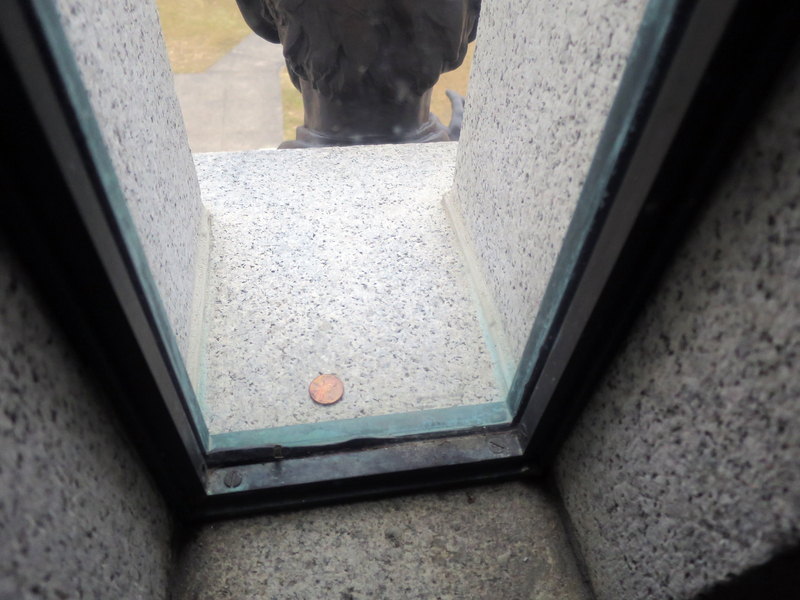 But on today’s visit we noticed that behind Lincoln’s head was a penny that someone had thrown from the sidewalk below. 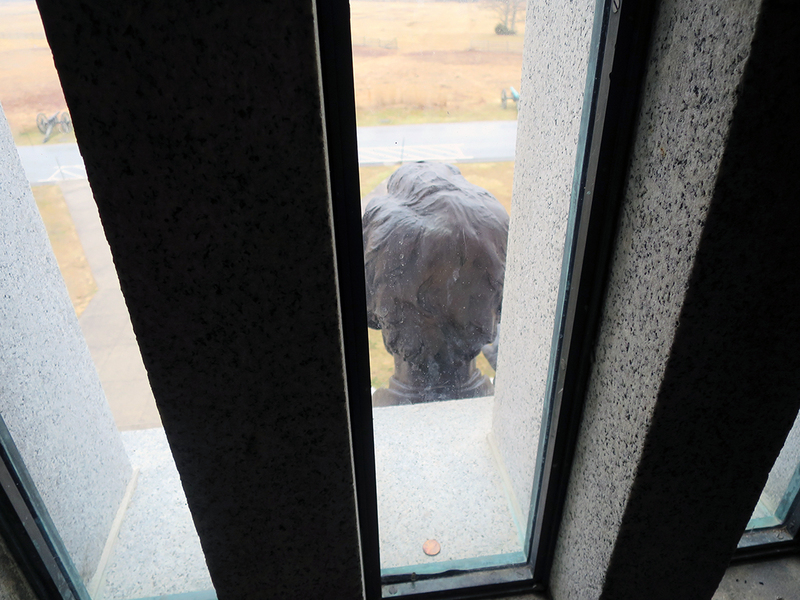 Yes, it landed Lincoln’s head-side up. This image was taken facing southwest at approximately 12:30 PM on Monday, December 26, 2016. Please don’t throw pennies at memorials on the battlefield, even if you’ve matched your coinage to the monument in question. Lincoln first appeared on the one-cent coin in 1909, the year before the Pennsylvania Memorial’s dedication, on September 27, 1910. The Lincoln statue was sculpted by J. Otto Schweizer and was completed in 1913. This image was taken facing southwest at approximately 12:30 PM on Monday, December 26, 2016.